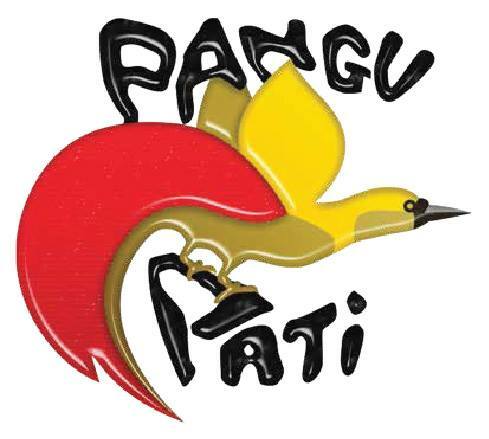 PANGU Pati's move to join the Peoples National Congress (PNC) led coalition under Prime Minister Peter O'Neill has spurred widespread criticisms from it's supporters nationwide. PANGU Pati leader Sam Basil has been campaigning against the O'Neill led government in the last five years with allegations of mismanaging the economy and a pending arrest warrant over the Parakagate saga. While Peter O'Neill may have welcomed the move by Basil and thirteen of his members to the government, several members of PNC and it's coalition partners are fazed with PANGU's move. PANGU is now has the second highest number in the government coalition and several minitries might be reshuffled to cater for PANGU. This could also mean PANGU can take the Deputy Prime Minister post and other key ministries on offer, but that doesn't seem to be the case as this might split the government ranks and MPs could defect to the Oppostion. Do you think Peter O'Neill is unaware of PANGU's hidden motives? Do you think he would be kind enough to reward PANGU with a portfolio that will determine his (O'Neill's) own exit route from parliament? Do you believe O'Neill when he mentions political stability when welcoming PANGU Pati into government? United Resources Party (URP) under William Duma has four ministerieal portfolio including the police ministry and the State Enteprises ministry. Duma has been implicated in the Manumanu land deal and there's massive criticims leveled against the PM on why Duma was retained the SOE ministry. PNC on the other hand wont be too cautious about losing URP. PANGU will still maintain the numbers and balance within the government if one or two smaller political parties decides to defect from the government. O'Neill has already seen the plan for massive destruction to his coalition if he is not careful with the cabinet reshuffle. PANGU's move was strategical to gain more numbers before the 18months grace period ends.Unfortunately the alternate PM would be only chosen from the Opposition which in this case Basil could not be favored. PANGU strongholds (in particular Morobe) have been very vocal against the PNC-led government during election campaigns. PNC stalwarts were replaced in almost all electorates in Morobe by PANGU. For them going back to the PNC-led government is contradicting to what PANGU stood for in the elections - Friends to all, enemies to one Peter O'Neill. However PANGU will continue to grow numbers in the next six months and might have the better chance of getting more independent and one-man party MPs to join them. That is the danger for PNC to reward it's coalition partners. Was O'Neill clever enough to welcome Basil and PANGU to join government? or did O'Neill made a worst mistake in allowing PANGU to join government? O'Neill made Basil a Minister without portfolio drawing massive criticims from the public. Was O'Neill showing his sarcasm? PANGU Pati may have made the right choice to join the government. But it will take time and alot of careful consideration for O'Neill to reward PANGU. Some decisions of revoking ministries wont go down well with certain members, but it is in the best interest of PANGU for this to happen so Basil and his team can take control. Whatever the outcome of this political marriage between PNC and PANGU will tell us who will the greatest political strategist in PNG's modern day political history.